World heavyweight boxing champion Anthony Joshua visited the NSPCC centre Boole House in Coventry, to surprise a group of children with a unique Christmas lights switch-on. 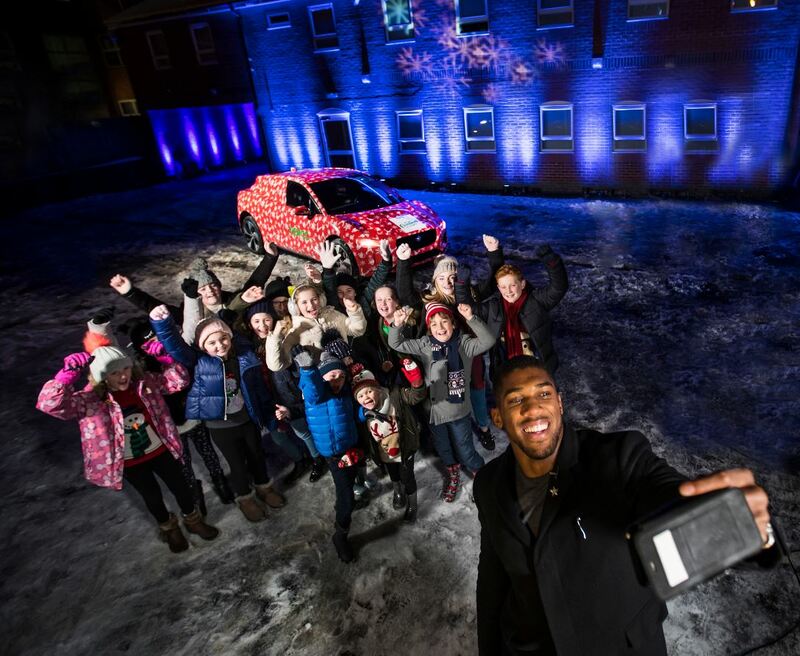 Jaguar and Joshua are teaming up to promote the NSPCC’s ‘Light up Christmas for Children’ campaign by encouraging the public to share their #LightsOn selfie and make a donation to the charity. 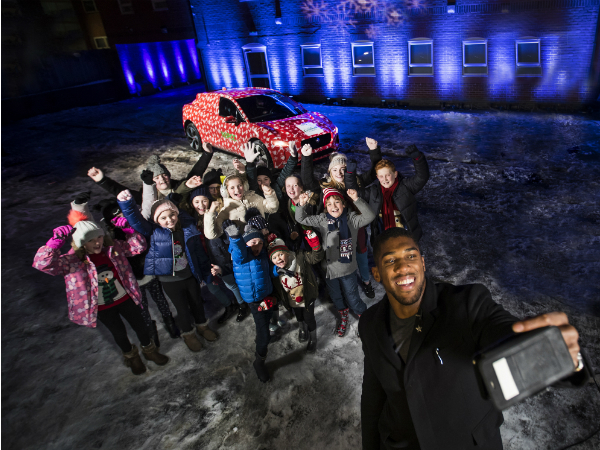 Joshua’s festively-wrapped prototype Jaguar I-PACE was packed with gifts for the children at Boole House, where he arrived to pose for a #LightsOn selfie to promote the NSPCC’s campaign, and was quizzed by the children about his boxing career. He also toured Boole House to learn about the projects the NSPCC runs for children in the city. Currently only three out of four calls to Childline can be answered due to funding. More than 8,000 counselling sessions were completed over the festive period last year and the NSPCC is expecting an increase in calls this year. Therefore the aim of the #LightsOn campaign is to enable the charity to answer every call. Anthony said: “This can be a really tough time of year for lots of people, so when I heard about the NSPCC’s ‘Light up Christmas for Children’ campaign I wanted to come to Boole House, meet the kids and hear about the incredible work that is done there. Working with Jaguar Land Rover to give the children such a special surprise was brilliant. It was a privilege to meet them and talk to them about what they can achieve if they set their minds to it. Amanda Synott, NSPCC Community Fundraising Manager in the West Midlands, said: “We launched our new fundraising campaign, ‘Light up Christmas for Children’, to help the NSPCC keep more children safe. Currently, we simply can’t respond to everyone who contacts Childline, but with Anthony Joshua’s help, we hope to be one step closer to raising the money we need to answer every call. To support the NSPCC’s ‘Light up Christmas for Children’ campaign, share your festive #LightsOn selfie and donate £4 by clicking here, or text LIGHTS to 70025. TEAMTALK APPVENT CALENDAR WINDOW #10 of 12!